I have laughed with many of them, and I cried with more than a few. I have depended on many of them. But NONE were the legend personified by Father J. Joseph Kierce. 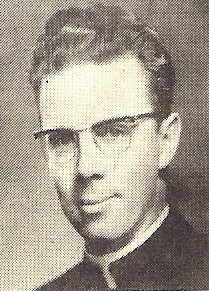 I was very saddened to learn that Father Kierce died February 26. The man was a local hero. Larger than life. Everyone in Dorchester knew him. His non-stop work literally kept Saint Kevin Parish running for 50 years. A good-natured extrovert, his long ministry at Saint Kevin brought peace and comfort to parishioners for decades. He was a continuous presence throughout my childhood, and everyone in the parish. I received all my sacraments at Saint Kevin. I graduated from grammar school there. Father Kierce was always there. One time, he walked nearly a mile to our house to tell us Nana had fallen and was in the hospital. He visited Saint Margaret’s Hospital regularly to see the new mothers. He arranged annual trips to the Holy Land. What an experience it must have been for the fortunate parishioners who walked the path of Jesus with Father Kierce. He had such encyclopedic knowledge of the Bible — he must have been the ultimate tour guide. He created a program called “Walk & Talk,” where parishioners met after mass and walked in large groups. It was a great way to chat with neighbors, walk the community, and stay fit. I remember the day I stopped by the rectory for a copy of my baptismal certificate for my wedding. Father Kierce was wolfing down a vanilla pudding after a brief supper. No time to eat — He was on his way back out — always on the go. Always helping. I remember church BEANO (Bingo). The Passion play, the Christus, which he himself had written, performed every year. The church bulletins he typed himself each week. The visits to the classrooms, the endless administering to his parish. I remember the bounce in his step. His seemingly endless energy. There was a particularly endearing thing he would do — at the sign of peace, it was his custom, as many priests do, to walk toward the congregation and make his way to the pews, shaking hands. As he turned back toward the altar, the next part of the service was the invocation, “Lamb of God, you take away the sins of the world have mercy on us.” Father would turn back toward the altar and shout, “LAMB OF GOD!” to jump-start our recitation of the prayer as he returned to the altar. Most poignantly, many years ago, my Dad bumped into Father Kierce one late evening. He’d wanted to go to confession for many years. He said, “Father, if your church were open right now I’d go to confession.” Well, Father Kierce was happy to oblige, unlocked Saint Kevin Church, heard Dad’s confession, and lifted a great burden from Dad’s heart that he’d carried for many years. Father Kierce was always on the go, always moving, always doing his best. He made a difference. He was not the first pastor of Saint Kevin Church, but it was truly he who was the rock on which Saint Kevin was built and flourished. 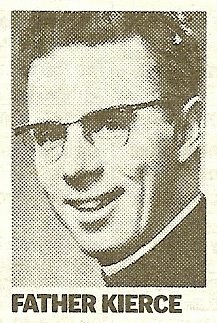 Father Kierce had long since retired, but his passing is certainly a final milestone for everyone who lived in that parish in Dorchester. We’ll miss you, Father. But I have no doubt that even now you are with God, for you were always one of His most loyal and devoted servants. Thank you for your lifetime devotion to the priesthood, and to your parishioners. Thank you for being there whenever we needed you. Rest in peace, Father Kierce. 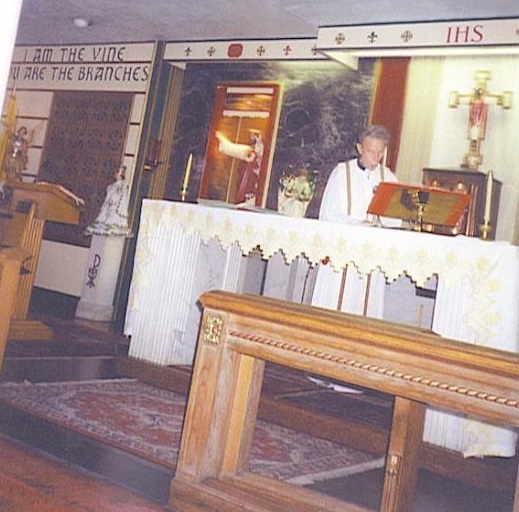 Father Kierce saying mass; date unknown but likely 1980s. 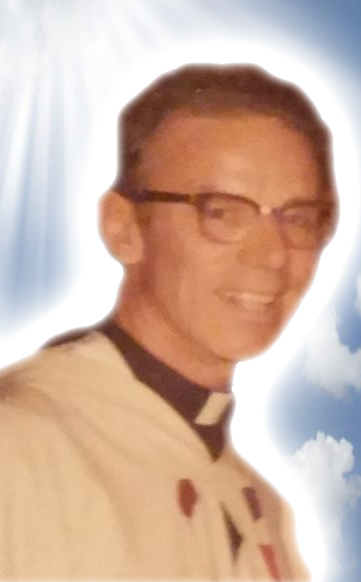 I did a Photoshop edit on the photo of Father Kierce from Peg Harold Ashwell — Rest in Peace Father Kierce — you are well remembered! Thanks for the fine words and the Legacy site. Ironically, I found your site a month or so ago while I was surfing the net for some word on Father Kierce. I don’t even remember why but I found something you had written that brought him up. I also went to St. Kevin’s but I think a while before you since I graduated in 1968. Again, thanks. Looking forward to reading your book. Thank you! I have corrected that info above. We’ll all miss him! Wonderful article Mr Gillis- Thank you. However “The St Kevin Emerald Knights’ was one of the greatest most respected and admired drum & bugle corps in the United States. It was not a band, rather a drum & bugle.